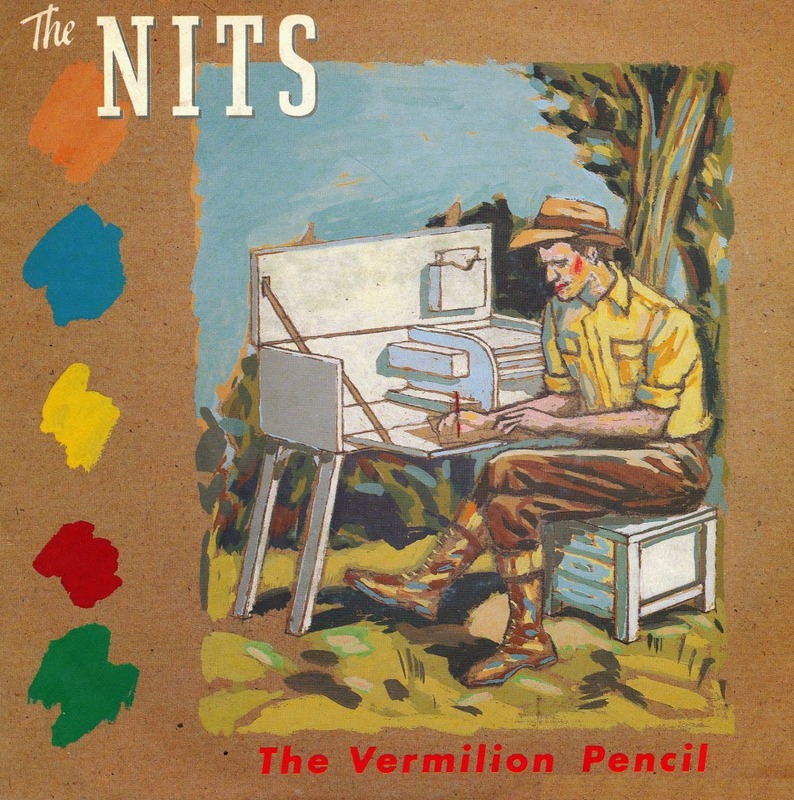 The Nits have become very famous for their arty pop songs, especially in the Nineties after 'In the Dutch mountains' had become a hit in various countries. Since then, their songs became ever more peculiar. Compared to their later output, 1983's 'The Vermillion pencil' is a relatively straightforward pop song. The single was taken from their fifth album 'Omsk', which had already given them a hit single in the shape of 'Nescio'. This single, however, did not chart. 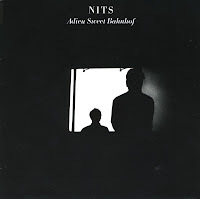 'Adieu sweet Bahnhof' is the title of the Nits' 1984 album, which they recorded with producer Jaap Eggermont, who became famous internationally thanks to his 'Stars on 45' project. The song was the title track of that album. It is also the title of a single, which the Nits released five years later. The single version was recorded live and included on their 3LP box 'Urk', a collection of live recordings made in Amsterdam, Utrecht and Moscow in the winter of 1988. The single reached number 26 in the Dutch Top 40 and was their last hit single until 1992's 'Soap bubble box'. 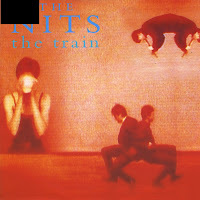 'The train' was the second single taken from the 1988 album 'Hat' by the Nits. The song was written and produced by the band. The sleeve of the single featured stills from the rather strange music video. And like the music video, the song was rather strange as well. 'Strange and beautiful' was increasingly becoming the trademark of the Nits, which earned them a big fan following in the Netherlands, but also a lack of commercial success: this single did not chart. In the second half of the Eighties, the Dutch band The Nits was lauded by critics and bought by the audience: a perfect combination. They won an Edison (the Dutch version of the Grammy's) in 1987 after their album 'In the Dutch mountains'. A year later, they released the mini-album 'Hat'. 'The dream' was the first single taken from the album, which peaked at number 26 in the Dutch Top 40. They won another Edison for this album. 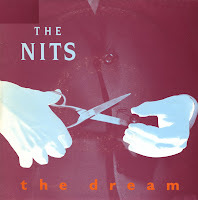 The Dutch band The Nits released the track 'Nescio' in February 1983 as a single from their album 'Omsk'. The track features Dutch singer Mathilde Santing on backing vocals. It became the band's first top 10 hit in the Netherlands, peaking at number 8 in the Dutch Top 40. My copy of the single comes in a standard record company sleeve, although it was released in a picture sleeve. I have seen picture sleeve editions recently, but they're usually quite expensive. So for now, this'll do. 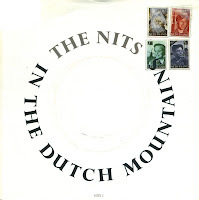 The Dutch band The Nits released the album 'In the Dutch mountains' in October 1987. The title track was released as the first single, reaching number 14 in the Dutch Top 40. The band decided to go back to basics and record this album live to two-track in their own rehearsal space to, in their own words, 'reproduce the special atmosphere of a Nits concert'. The album was the first to be released in the UK and the USA. While the single 'In the Dutch mountains' was a success in several European countries, the album failed to receive similar commercial acclaim. This copy of the single was made in the UK. 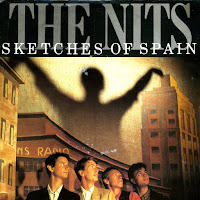 The single 'Sketches of Spain' was a gripping tale of the Spanish civil war, taken from the Nits' 1983 album 'Kilo'. The single was the third hit single for the band, reaching number 24 in the Dutch Top 40. I recorded the song - like many others - from the radio in 1983, but I never realised that I didn't have this single until I bought it today. Well, that's one error corrected then! 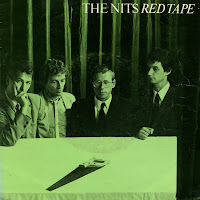 The Nits released their fourth album 'Work' in 1981. It didn't reach the album chart in the Netherlands, but the album did spawn one hit: the single 'Red tape', released in January 1982, got to number 24 in the Dutch Top 40. The song is a beautiful slice of synthpop with a slightly mysterious lyric. I always liked this track, and was really glad when I found the single seven years later. Henk Hofstede and Alex Roelofs formed the Nits in 1974 together with Michiel Peters and Rob Kloet. They participated in a contest a year later and won a recording contract with Dureco Records as a result. Their debut single 'Yes or no' was featured in the popular TV programme Toppop, but the limited availability of the single caused it to flop. The band performed live a lot, and contributed 'Tutti Ragazzi' to a compilation album made by the Dutch magazine Oor. 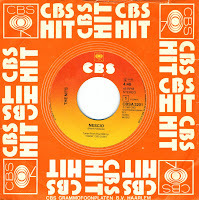 Manager Aad Link was very interested in the band and arranged a new contract with record company CBS. 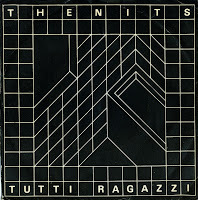 The album 'Tent' was released in 1979, and the single 'Tutti Ragazzi' was taken from it. It entered the Dutch Top 40 in February 1980, and peaked at number 31. It was the Nits' first hit.